I am one of the lucky ones, I have an allotment. Not only that it only costs me £10, I have a standpipe right next to my plot and no charge for the water. I know I’m lucky but I didn’t realise quite how so lucky until a read the recent data from the University of Leicester about allotments. There are over 86,000 people across the country waiting for an allotment but this figure might not be a true reflection of the number of people who want a plot as several councils have now closed their lists and therefore do not record the numbers of people who do not even make it onto a waiting list. Using the Freedom of Information Act the researchers discovered there is a massive variance in allotment charges. Runnymede Borough Council charges 55p per square metre, the most expensive in England, in contrast Bolsover District Council charges only 1p per square metre. My own plot is approximately 114 square metres and costs just over 11p per square metre. The average size plot apparently is 250 square metres and costs 15p per square metre. I don’t yet know how much my rent for the allotment will be for next year but I’m hoping it doesn’t increase by 207%, the amount by which Cannock Chase District Council increased its allotment rent between 2008 and 2011, with rent going from £36.90 to £108.92!!!! Charges this high do seem excessive and against the spirit of allotments. I would imagine these sorts of prices would exclude some people, probably those who benefit the most. One of the biggest problems seems to be that this research by the University of Leicester is the first real study into allotments and highlights the difficulty in accessing information about waiting lists, numbers, plot sizes etc. For example, Birmingham has 115 allotment sites but data is only available for 18. When waiting lists are quite long and it takes a long time for plots to be reallocated, many people on the waiting list may have moved or changed their minds and not contacted the relevant person to take their names off the list. It also seems that plot sizes are getting smaller as councils are dividing up plots. Smaller plots might not be such a bad thing, if it makes them more manageable for people. However, with no data recording this change, councils could use division of plots as a substitute for providing new land for new allotments. The right for people to have their own bit of land goes back as far as the Saxons when woodland would be cleared for common land. This land, gradually over the centuries, was enclosed by the ruling classes but to compensate tenants were given small plots of land attached to their cottages and this is the first recorded use of the term ‘allotment’. It was in the late 19th century that Government passed the first ‘Allotment Act’ to make it a statutory obligation for local councils to provide allotments where there was a need. Since then the popularity of allotments has waxed and wained but with ever increasing food prices, peak oil, GM food and food related health scares it might be that growing some of our own food becomes a necessity rather than a fashionable hobby. The benefits of allotments are enormous. There is the physical exercise which also benefits the mind, the fresh air, fresh food with fewer or no chemicals, a great sense of satisfaction and the opportunity to meet people. I am a happier person because I have my little plot that puts me back in touch with nature and the seasons. Will there be a day when politicians recognise the importance of these plots of land? 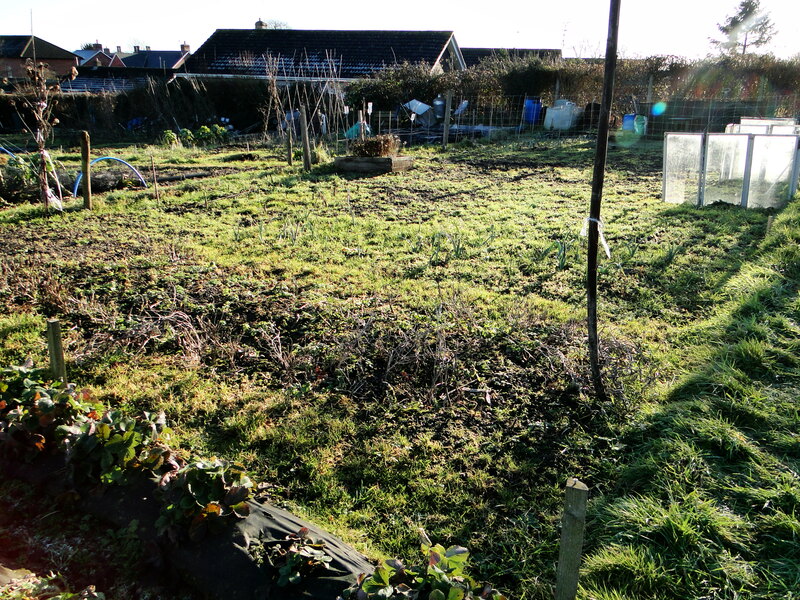 Will allotments ever make it into a political manifesto? If politicians really believe in Gross National Happiness then maybe they could set up a taskforce to provide communities with the land they want. It might not make anyone any money but we might be fitter, healthier and happier. For more information about the history of allotments and anything else allotment related allotment.org is a great website. Data used is taken from the University of Leicester’s research. For more information about this research go to the University of Leicester’s website. When I found out I had been allocated an allotment at the start of this year I tried to get hold of as many books about allotments and growing fruit and vegetables as possible. It wasn’t long before I felt I was reading the same information, going over the same ground. Our Plot is something different and I loved it. 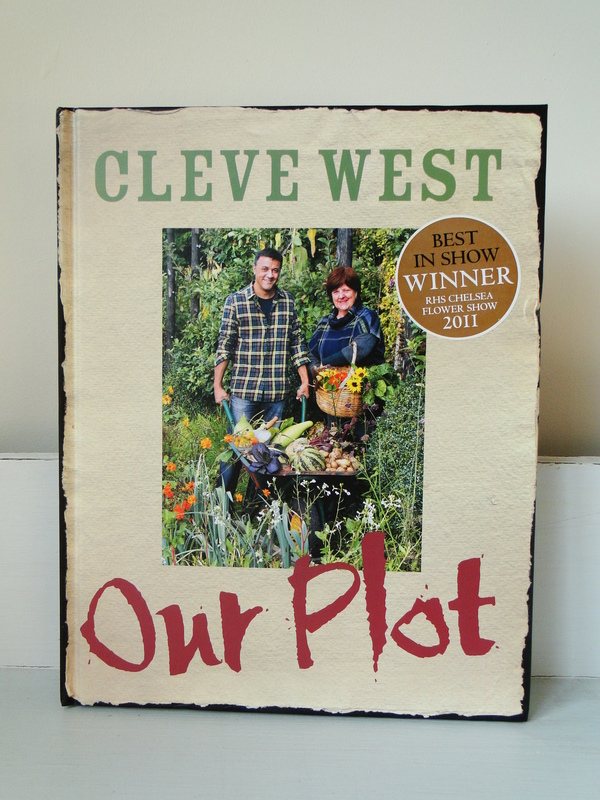 The book is the personal story of the author Cleve West and his allotment experiences over the last 10 years. Cleve is a respected garden designer who won a gold medal and ‘Best in Show’ at Chelsea this year. 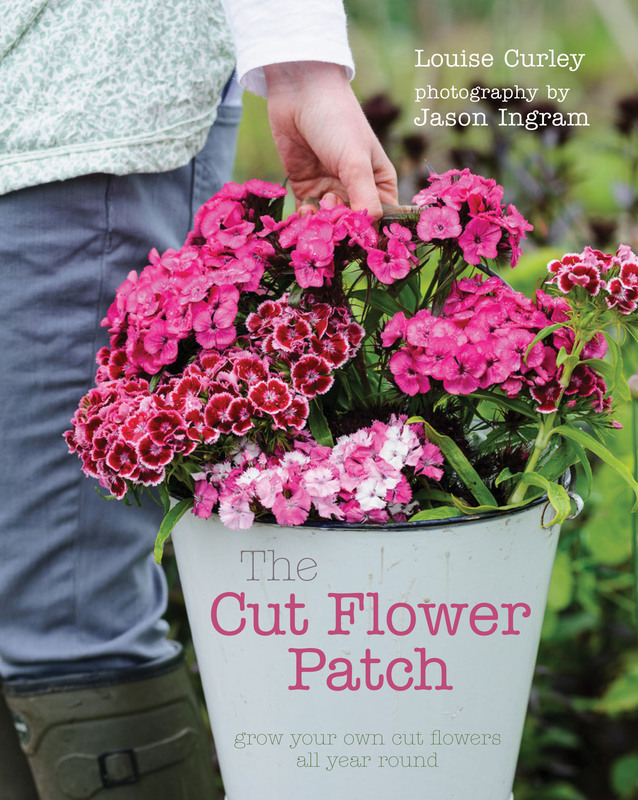 I first came across him when he wrote a gardening column in The Independent but this is his first book and I loved his style so much, I hope he writes more. 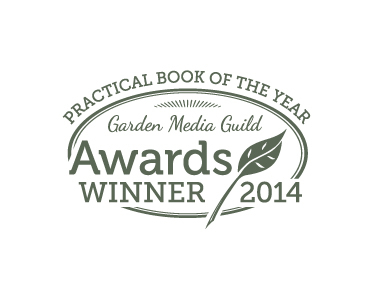 Our Plot is less a book about how to grow, as he says, there are plenty of these types of books available, and more a celebration of allotments, the people he has met, the produce he grows and the creativity he can express on his bit of land. I enjoyed his honesty. He doesn’t gloss over the problems that come with having an allotment; the hard work and time constraints, vandalism and not being able to go out of your back door and pick your produce. He admits there are times they’d rather buy stuff from the supermarket. The photographs are beautiful with their rich, sumptuous colours and there are some lovely bits of humour in the stories about his fellow allotment holders. The photo of Mrs Luu and her giant pumpkin made me smile (you’ll have to buy the book to see what I mean). 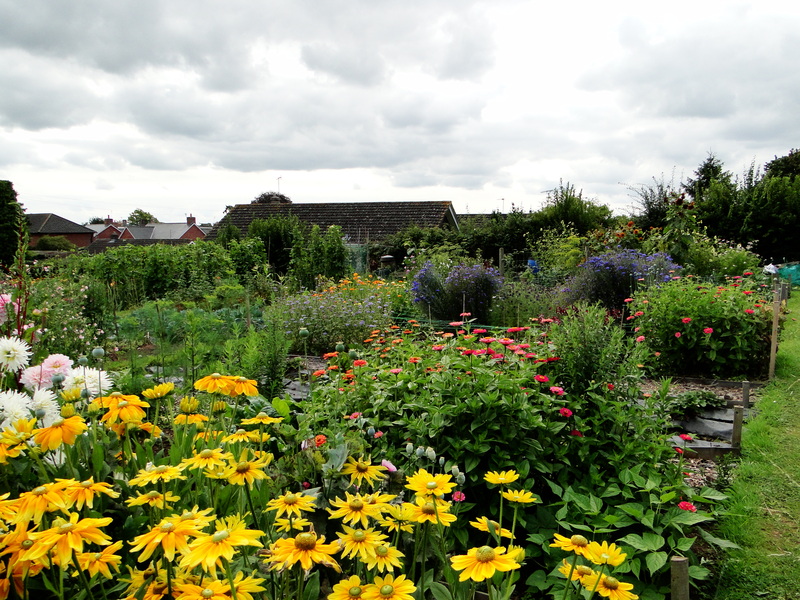 My plot is on a small rural site, unlike Cleve’s urban site and I was more that a little envious of the exotic mix of plot holders and produce, the open days and not to mention Cleve’s 4 sheds. There are sections on wildlife and recipes which add another dimension. Cleve also highlights problems which we will face in the future such as ‘peak oil’ and how allotments could help. 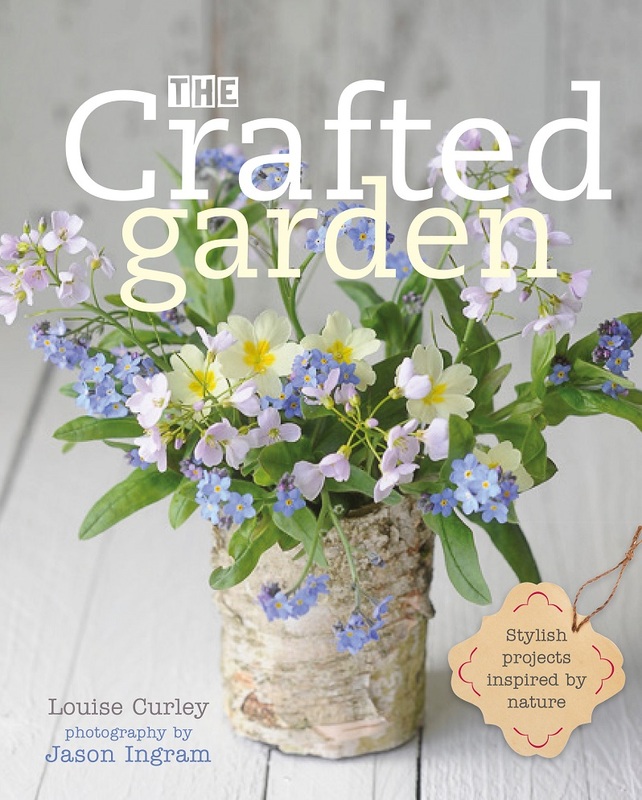 This is a touching, heart-warming book which managed to make me, as a novice plot holder feel better about my first year’s attempts but also has inspired me to keep going. Cleve has captured everything that is special about allotments as he says ‘being there is as important as what ends up on the pate’. This is a must read. Available now. Go to Amazon. Thanks to Amanda at Frances Lincoln Publishers.